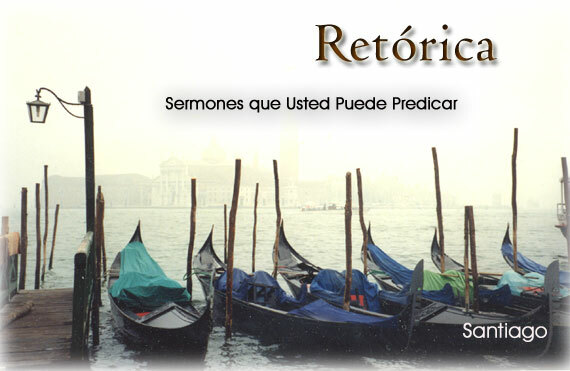 The place to begin a sermon is not at the beginning; it is in the middle. Like any public discourse, we need to have a central message, a core, something that an audience can take away with them. A good beginning may hold an audience’s attention, but the heart of any speech is measured by its message, by its content. In any speech, it is here we want to begin— What is it we want to say and why? What do we want our discourse to do? 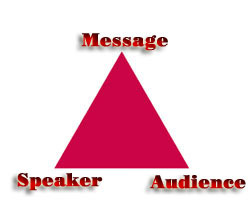 Aristotle compared communication to a triangle with one side as audience, one side as message, and one side as speaker. Remove any one of these three components and the communication falls flat. Image, for instance, having to deliver a speech but having nothing to say. Or, imagine yourself speaking to an empty building. In either case, as a public speaker, we would probably feel very foolish. No, Aristotle is right. There must be audience, speaker, and message with all three elements in a tenacious and intricate balance. Emphasize speaker too much and the message is diminished. Emphasize message too much and the audience is ignored. Emphasize audience too much and you may sound placating, condescending insincere. Public speaking is as much a balancing act as it an act of communication. Let’s begin, then, with the heart of our sermon, the core of our speech. We have chosen a parable from our Lord, commonly called the Parable of the Good Samaritan. You can read the context and full narrative in Luke 10: 25–37. Apparently, this discourse was given as a reply to a question intended to ensnare our Lord, but it is not the context we want to look at for the moment. Our concern is how the Lord takes three points and weaves them into a single narrative. In any speech, a narrative is extremely powerful, because a narrative involves a story, and with a story we immediately have a natural beginning, a middle, and an end. Unlike a sermon built around a list of points, a narrative gives a speech coherence as well as natural direction. Let’s take a look and see how we might develop a sermon from this passage in Luke. Each of these points, of course, need further developing, but the core message is rhetorically sound. We naturally progress from selfishness, to indifference, to full and selfless caring. To develop the sermon further and to make it your own, you would need to add examples of each of these three views. You might even think about why people act as they do. There are a number of ways the basic thoughts can be developed. Why not give this sermon a try, and see how it works out for you? Let us hear from you.